It's cold in the mountains, but that doesn't mean you body won't need to breathe. That leads to frozen sweat, and wind-chilled cores. The Black Diamond CoEfficient Fleece Jacket is made from Polartec® Power Dry® fleece - insulation when resting whilst allowing excess warmth and moisture vapour to escape and evaporate when working. 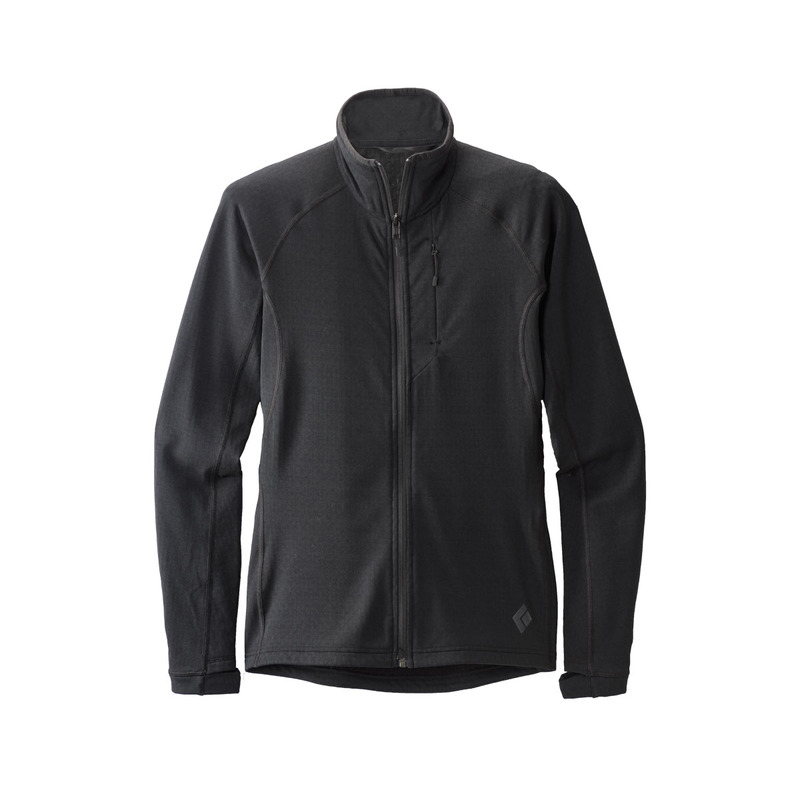 This jacket is also fast-drying and permanently moisture-wicking. Warm or breathable when you need it most. Polartec® Power Dry® is a permanent wicking base layer fabric designed with faster drying times and better overall performance. Whereas other fabrics rely on chemical treatments, Polartec® Power Dry® uses mechanical wicking in a bi-component construction that will last the entire lifetime of the product. This fabric is highly breathable, pulls moisture from the skin effectively, and expands for faster evaporation. Uses a silver salt chloride finish to help prevent bad odours from developing and is always made with a minimum of 50% recycled fibres.